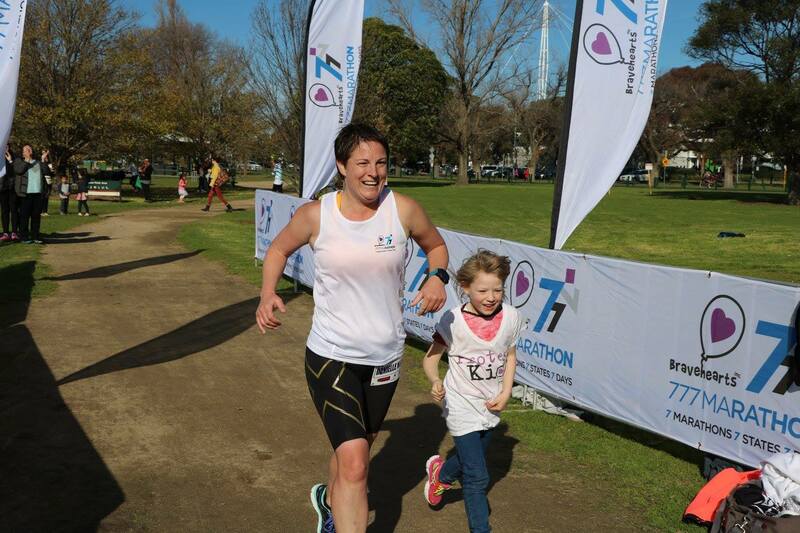 Bravehearts Founder and Executive Chair, Hetty Johnston AM, is calling on children’s champions to take on the Bravehearts 777 Marathon when it hits your state from June 26 – July 2.
run a single, 42 km state leg. “The Bravehearts 777 is getting bigger every year as more people strive to take big steps for little people,” says Mrs Johnston. State Runners will run alongside and show their support for 30 national participants, including Perth’s Gill Hammersley. Gill is running in honour of her daughter Abbey, who tragically took her own life after years of sexual assaults. “Abbey was a caring, beautiful soul, who loved to run. I run the 777 in her honour,” says Gill. The Bravehearts 777 Marathon kicks off in Gill’s hometown of Perth before heading to Adelaide, Canberra, Melbourne, Hobart, Kingscliff and culminating in Australia’s largest marathon on the beautiful Gold Coast. State Runners are able to participate as an individual or as part of a team of friends or colleagues. To register to run alongside Gill in your local event, register today at bravehearts.org.au, email adventures@bravehearts.org.au or call (07) 552 3000. 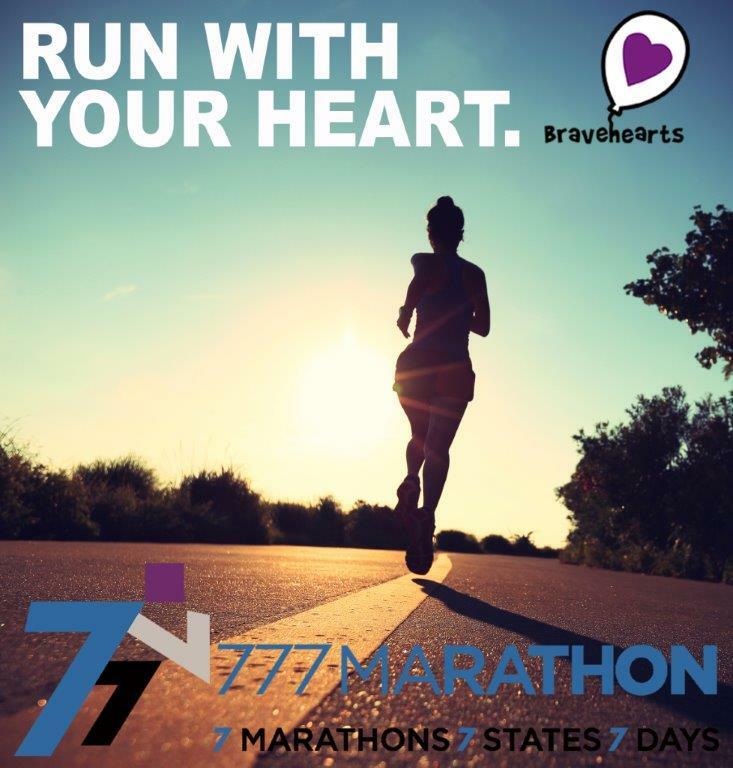 For further event information and to register, visit the Bravehearts 777 Marathon page NOW!